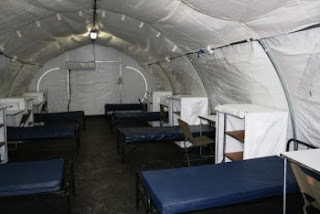 RCS is pace setting redeployable camp system, offering a turnkey camp operation which can be erected at speed and designed for army bases, refugee camps and even medical facilities. 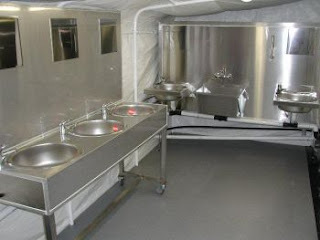 Their system includes design, operation and maintenance of the camps as per customer specs. RCS turned to Sannitree for help with their ablution facilities, as most of these camps are set up in areas without direct water supply, and as important, limited means of disposing of effluent safely. In response, Sannitree recommended their Free Flowing Waterfree Urinal Valve. Besides eliminating the water-in problem, it solved the waste-out problem too, as the amount of effluent waste to be disposed of was massively reduced. 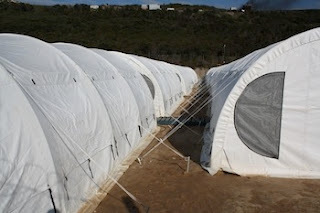 Sannitree has had a long and successful relationship with organisations involved with refugee camps, and has supplied Bio-Enzymes to Oxfam for breaking up effluent waste in pit toilet systems at various camps throughout Africa. Posted in Water Saving & Recycling.